Developer: Bandai Namco Games/Sora Ltd.
Review Context: I’ve always hoped that one day Nintendo would make an all-star like game to celebrate all the IPs that made them stand out, like what Hanna-Barbera did with their Cartoon Olympics show. I discovered my dream had not only come true with Super Smash Bros. (N64), but the game was being released next week. I was excited to tell my friends we can finally have a Mario vs Link battle. After the success of the Nintendo 64 title I knew a sequel would be made. The sequel was Super Smash Bros. Melee on the Gamecube and ended up being my most played game on the system. When the Wii was launched, I had to wait two years until I would continue the madness with Super Smash Bros. Brawl. While most people play Smash seriously in tournaments, I play Smash for the Nintendo fanservice. Nintendo took a concept that was a huge gamble of having Nintendo characters in a fighting game unlike your standard fighter. That success has scored them into making it a franchise. With a new Nintendo system you can expect a new Mario, Zelda, and now Smash game, but Brawl changed that by adding two third party characters, Snake and Sonic the Hedgehog. Now nothing is off limits of who will join the roster in a Smash game. With the newest installment now available for the first time on a Nintendo handheld, many have doubts on whether it’ll have the same experience but on the small screen. Does the 3DS version show that size doesn’t matter, or should you hold off for the game to come out on Wii U? I should state that I played this on the regular size 3DS. The visual has a blend of Melee and Brawl with the cartoony look of some characters (Mario, Kirby), while more realistic characters (Marth, Shulk) have finer details on the model. The stage designs for the fights look incredible with a different style and feel to the levels based on the fighter. Mario’s stage has a side scrolling colorful feel, while Samus’s level has a dark moody vibe. The game runs at a smooth 60 frames a second (even in 3D), while the assist trophies run at 30 frames a second. This game pushes the hardware to the limit. So much of the hardware is being used you can’t even post a screenshot to Miiverse on the current 3DS or 2DS. They added an option to add an outline to the characters so you don’t lose track of them in the heat of battle. When you have the 3D turned on, the backgrounds of the stages have depth to the fighters close to the screen. When a character is knocked toward the screen it’s the most “whoa” moment you’ll get with the 3D effect. Sadly, there is no cinematic intro to the game, which I am hoping is saved for the Wii U version. The big question is whether the controls on the 3DS would work. The answer is most of the time. The default control scheme takes some getting used to; fortunately you can customize the control to your liking. The big issue is the circle pad. While it works fine, the problem is when you play the game in an intense matter to the point you might end up being one of the people to break the circle pad. I use the pad very lightly even through there are moments I want to flick the pad to perform a smash attack. There are times when I am facing the wrong direction but don’t have time to turn around before I get hit. Most people have said that if the D-pad wasn’t used for taunts they would’ve preferred the option to use the D-pad for movement. I don’t agree since the D-pad on the 3DS is flat compared to the spongy D-pad on the DS lite. Heck, I used the circle pad on Super Street Fighter IV: 3D Edition. The Touch Screen on the 3DS is hardly used except for the menu, and giving you the option to zoom in or out on a trophy. The fighting scheme consists of the attack button, jump button, and special button. Moving the circle pad in any direction while pushing either button will do a move, while you also have shield and a throw button. For defense you dodge and sidestep attacks to gain the upper hand. You can wait for the game to display the mechanics of the game on the start screen. What set the Smash Bros. series apart is the gameplay variety and the 3DS version does not hold back. You have the standard Classic mode where you fight your way to the final boss, but the only difference this time is that you can pick the route you want to go resulting in coins and trophies if you take the hard route. Before you start you can increase the difficulty for a bigger reward, which was used in Kid Icarus: Uprising. The story mode from Melee and Brawl is not present, making this game feel incomplete. All-Star mode has you fighting characters based on the year. For example, from 1980-1989 you would be fighting Link, Mario, and Pac Man. There’s the 3DS exclusive Smash Run mode, which you can play co-op local. In this you have five minutes to collect as many power-ups as possible by doing challenges and defeating enemies. When the time is up you take part in the final match. The match type is random, from a standard fight, to a race, or fighting with a high percentage. The home run derby is back as you smash the bag as far as you can using different tricks. The big change however is Target mode. Before, the mode requires you to break targets with your fighter. 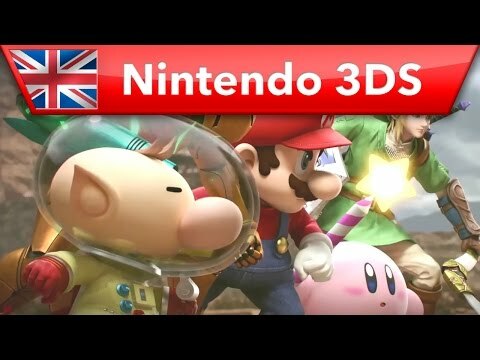 For the 3DS, my guess is they decided to change it up on the system’s limited space and what you get is the Smash Bros. version of Angry Birds. You smash the bomb into items and make items fall in a pattern for a high score. That’s the most disappointed mode for me. Street Pass support for this game has a fighter you pick fight other opponents in a spinning top like game to where you knock fighters out of the ring based on your record similar to other fighting games on the system. What would Smash Bros be without trophies? They are back though not as many because of space, but what is included is nice and you get information on that character or item if you are uncertain with a certain Nintendo franchise. 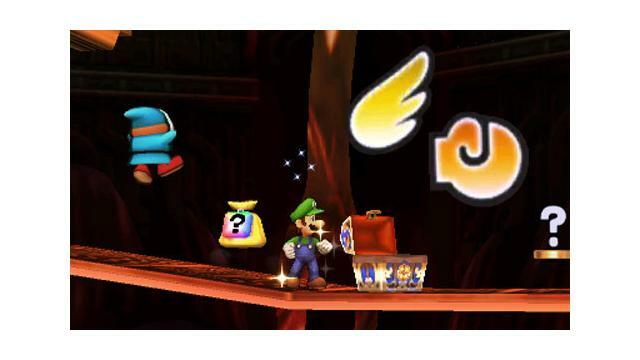 They are unlocked through beating classic and all-star, buying them at the store using in game coins or play coins on your 3DS, picking them up in battle, in route in classic mode, or taking part in Trophy Rush where you gamble coins to earn them. The more you gamble the more time you have. Sorry the stickers from Brawl are absent. The challenges (achievements) have also been cut in half due to space. If you believe you are the best, Multi-Man Melee returns with new modes to see how long you can last against endless opponents. The one feature I wish I can talk about is using your 3DS as a controller for the Wii U version and exchanging information from the 3DS to Wii U, but for now the feature only taunts you on the main menu. If fighting against the cpu bores you (through increasing the difficulty above five proves challenging), you can take the fight online. I can say the online is better than Brawl, however, I should note that you must download a patch through the E-shop to play online. Since Masahiro Sakurai (director) discovered that more people are playing Smash Bros. (mostly Melee), in tournaments he decided to split the online modes into For Fun and For Glory. Fun has you fighting on stages with hazards and items on, while Glory has you fighting on the stages without hazards and items while your record is recorded. You can do team battle for both, while Glory has 1 on 1 mode. You can also save your matches and watch them again in the replay section. Sadly, there is no option to upload replays to YouTube like in Mario Kart 8. I’m hoping they will have it for the Wii U version. You can spectate a match and bet on who would win the fight. As for the online, it’s hit and miss. While playing some matches were perfect, I did run into a few matches where the connection was great then dropped. Sometimes I get an error message stating I cannot connect. When I did local online it was flawless on my playthrough, but playing with friends shows that Nintendo is still playing catch up. To play online with your friends you must go to battle with friends, and then one of you has to create a room to partake in friendly battles. As if we are all Professor X. Since we aren’t, I had to text my friend to get a match started. The roster for this game is massive with over 40 fighters and the ability to customize fighters and put your Mii in here… This could make this the best smash yet. From the opening theme you know your ears are in for a treat. Despite the limited space, the soundtrack for this game is fantastic. There are lots of remixes to Nintendo theme games done with an orchestral tune. Music from past Smash games return, though the sound quality is okay with the speakers. I recommend playing this game with headphones to get the true feel. The music is so great on the Music portion you can set it to sleep mode where you can listen to the soundtrack with your 3DS closed. (Sorry 2DS users) It should be noted when you register the 3DS and Wii U version to Club Nintendo you get the two disc soundtrack. The sound effects are done with the fighters keeping their trademark sound effects, and the character voices are hit and miss. For example, when Captain Falcon yells “Falcon Punch!”, the voice actor pitch is high. The same goes for Falco and Fox McCloud. My only question for Zero Suit Samus is, why they didn’t use that voice in Metroid: Other M? Review Context: I’ve been a long time fan of the Super Smash Bros franchise since it’s conception. I’ve seen how far they’ve pushed other games in the series, and trying out new ideas for gameplay modes in each new installment. I’m not the most serious player, but I love just sitting down with friends and fighting it out with our favorite Nintendo characters. 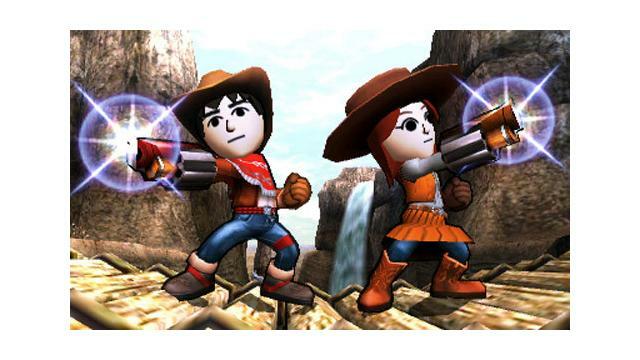 On the cusp of the new Super Smash Bros for the Wii U, Nintendo found the time to adapt the game to the Nintendo 3DS. This one was released only a month before the console version entered stores in North America. While Super Smash Bros is a household Nintendo title, easily being one of Nintendo’s best ideas since Mario, every iteration of the game needs to be a step forward and be memorable. The problem is the 3DS version is the complete opposite. The complete lack of replayability for this version only shows with the horrible release schedule. Only one month before the main console release doesn’t make enough sense marketing wise, unless you are trying to make another quick buck. This shows in some of the most forgettable features ever put into a Super Smash Bros. game. Removing story/adventure mode from the game was the first straw, as it was a welcomed and interesting edition to the franchise, allowing more depth than just smashing other CPUs off the side of the edge to continue forward in Classic. They thought that adding in Smash Run, the Kirby Air Ride City Trial mode, mixing in ability increasing stat gain with story/adventure mode’s playstyle would make everything alright. While it is a fabulous feature to the game being one of its key selling points, it also brings up straw numero dos: This mode is limited to only local play. Instead of having an online feature to the mode to have a suitable replacement for story/adventure mode they limit it, making it a completely underused feature unless you have friends who has a 3DS and a copy of the game, unless you want to play it by yourself. We do not play Smash by ourselves, we do not buy this game just to have a go at all the single player features, we buy it for the multiplayer, and when that is lacking the entire game is lacking. This moves us onto straw nombre trois. The singleplayer is completely lacking. I haven’t seen any game of the series backtrack before, and this title has the least amount of memorable content since the first installment of the franchise for the N64. With only Classic, Target, Multi-man, Homerun, and All-star as the only other available modes with a tiered list of unlockable challenges. The new and unique additions of the game are either only to offset the limitations of the device, or easily made more accessible in the Wii U version. Customization, while introduced in the 3DS version, it is also in the Wii U version making it the twin that was born two seconds before the other one. The stylistic choice with the graphics is cartoony and less dynamic with lighting and shading than the Wii U version with a black outline around it. It is probably because of the limited size of the screen that they used this style, as it pops out more. The stages and the gameplay are the only two things worth looking at in this edition. The stages are by far more creative and interesting to fight upon than their counterparts in the Wii U version; Pac-Man’s stage utilizing a more traditional backdrop for the franchise instead of Pacland, and the Fire Emblem Coliseum stage is only a stripped version of the Arena Ferox stage. The game feels just as good and as responsive as the Wii U version, removing the tripping and floaty aspects disliked in Super Smash Bros Brawl’s gameplay. With gameplay this smooth and operational with the customization giving a touch of personality to play styles, it would make up for many of the shortcomings of the game if you didn’t have a hard time going into the internet play without lag making it again only coherent in local play. With only a handful of modes and several unique additions only made more utilized in the Wii U version of the game, it just doesn’t stand up to others in the franchise. While a smooth and operational game, Super Smash Bros for the 3DS is the weakest in the franchise for memorability and evolution. Review Context: The last game in the franchise I owned before this was Super Smash Bros. (N64). Believe it or not, I actually had not owned a Super Smash Bros. game since Super Smash Bros. (N64). Even more interesting, Super Smash Bros. for Nintendo 3DS pushed me over the edge to buy a Nintendo 3DS XL because I didn’t own a Nintendo Wii U. The handheld experience is obviously not as good as a console experience for a fighting game, but I personally feel that it worked as well as it could have. The default controls were not my preference, but the customization made them workable for me. I do think it is important to look at the 3DS version of Super Smash Bros. in the context of it being a handheld game. Did the Super Smash Bros. for the Nintendo 3DS do everything it could to bring maximum quality to a handheld console that has its limitations, which would no doubt be inferior to the Nintendo Wii U version? I feel like it did. For me, the multiplayer experience was as good as I could have possibly imagined for a handheld console. I managed to have many great matches online, including with our Deputy Editor-in-Chief Louis Hughes with minimal disruption or lag. I could not have had expected a better experience, considering it’s unrealistic to expect voice chat on a handheld console. The single player experience was not quite as fun as online, but I still managed to find great fun in the Smash Run game mode, which I dismissed initially, before eventually getting warmed up to it. The ability to customize your fighter, have many customizations saved per fighter, and gain customizations via Smash Run is very appealing. I do wish Smash Run had online matchmaking though, because a multiplayer Smash Run would have been great (It does have local multiplayer). I understand this version may be a bit polarizing in experience and acceptance, but as someone who doesn’t currently own a Wii U, I felt this version accomplished what it needed to do. I haven’t purchased any of the new DLC characters yet, but we’ll see.